The property owner of a two-and-a-half story Allston apartment has been cited after a deadly fire this weekend. Anna Belokurova, the owner of the residence at 87 Linden Street, was cited for illegal occupancy in the basement and overcrowding of the house. According to officials, 18 people had been living in the home at the time of the fire. The house had also not been inspected since 1992. The fire, which is still under investigation, broke out around 6:30 on Sunday morning, and claimed the life of Boston University student, Binland Lee. Three residents were rescued by firefighters using ladders, while one resident jumped from an upper story to escape the fire Deputy Chief Stephen Dunbar said. According Dunbar, firefighters had tried to reach Lee who was in the attic at the time, but were unable to reach her. Six firefighters and nine of the building’s occupants sustained non-life threatening injuries during the fire. Massachusetts landlords are responsible and legally obligated for maintaining their properties so as not to pose any unsafe or hazardous conditions to their tenants. In Belokurova’s case, she is legally obligated to have her building inspected and maintain safe living conditions to tenants living at her property. This means not overcrowding her unit with too many renters and having fire exits clear and accessible. The overcrowding and lack of any inspection in over twenty years is very troubling and both could have been addressed with some due diligence from the property owner. Due to the fact that Boston is such a college town, property owners should be aware that over-populating apartments is a real risk. They must make the necessary steps in lease language as well as the necessary steps after primary parties have moved in to prevent potential overcrowding issues. If you or someone you know sustained an injury as the result of an unsafe condition on someone else’s property, call the office of Altman & Altman and speak to one of our experienced personal injury attorneys to discuss your rights. 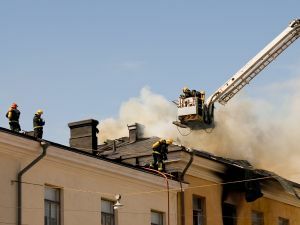 We will assess whether there was something the property manager or owner could have done to prevent your injuries and whether you qualify for a premises liability suit. Our team is available around the clock to answer any questions you may have about your case.